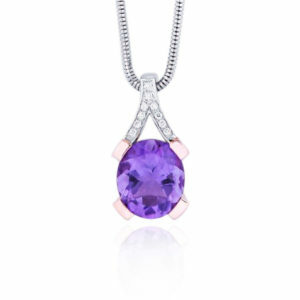 Ultra Violet has been announced as Pantone’s colour of the year for 2018. 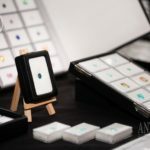 Provocative and full of emotion, the depth of PANTONE 18-3838 Ultra Violet symbolises experimentation and non-conformity, spurring individuals to imagine their unique mark on the world, and push boundaries through creative outlets. 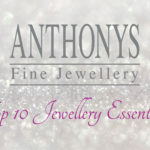 At Anthonys Fine Jewellery we have many beautiful gemstones that capture the Pantone Colour of the Year 2018, below are a few of our favourite Ultra Violet gems. 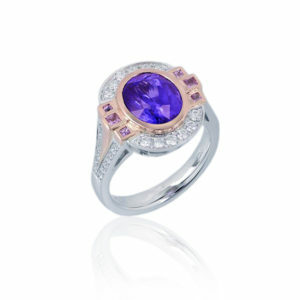 Exquisite premium quality 4.64ct oval cut tanzanite, accented with pink sapphires and diamonds in a handmade 18ct rose and white gold ring. 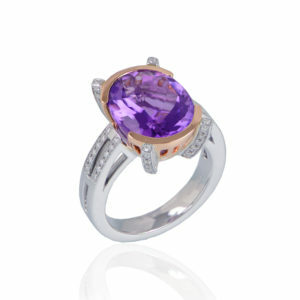 This intense deep purple amethyst shines in a simple setting of rose and white gold. 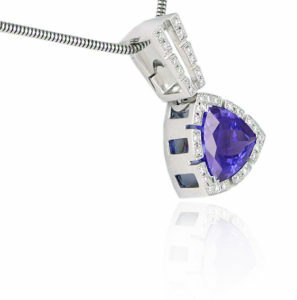 Magnificent one of a kind trilliant cut tanzanite and diamond pendant set in an 18ct white gold handmade enhancer style pendant. 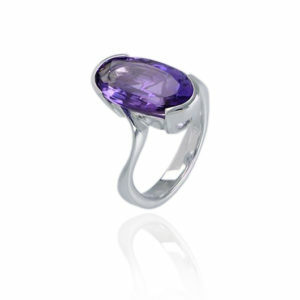 Make a statement with this bold and intense purple amethyst ring, handmade in sterling silver. 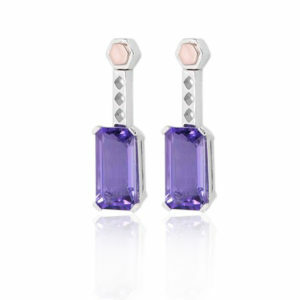 Argenta design emerald cut amethyst drop earrings set in sterling silver with a pop of 9ct rose gold. 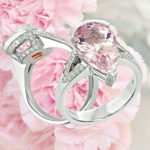 18ct Rose and white gold Jobson Couture ring set with a spectacular 7.36ct oval cut Amethyst and 0.41ct of dazzling white diamonds.